For those of you who want to jailbreak iOS 8.3 untethered on your compatible iPhones, iPads and iPod touches, there’s not so great news today as Apple has fixed a lot of security holes in today’s iOS update, including those used by TaiG for jailbreaks. More on it is detailed below. Apple has today released iOS 8.3 to iPhone, iPad and iPod touch users, and one of the most striking aspects of the update is the size of the changelog. The number of bug fixes and performance enhancements thrown in is nothing short of staggering, and while fixes tend to be a good thing – particularly from a security aspect – they often stop the progress of the jailbreaking community right in its tracks. With a grand total of almost 40 security patches in iOS 8.3, including one that was used by the TaiG team, in addition to another patched in 8.2, things do not look good right now, and after a strong start that saw every version of iOS jailbroken up to iOS 8.1.2, Apple looks to have gained the upper hand. As reported on Twitter by MuscleNerd, a veteran of this business, the latest update contains no fewer than 39 security fixes, rivaling the leap from iOS 7.x to iOS 8 in terms of sheer volume. 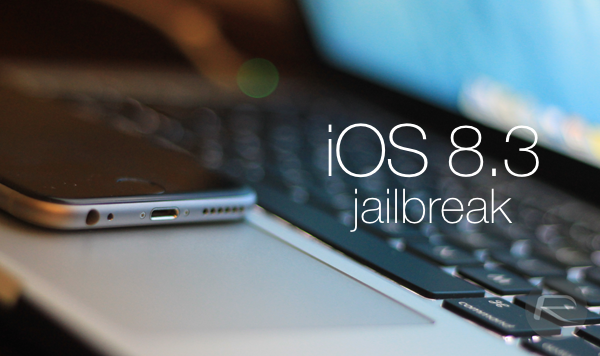 However, while iOS 8.0 was jailbreakable almost from the get-go, iOS 8.3 is not, and MuscleNerd thus advises anybody looking to jailbreak to steer clear of iOS 8.3 for the time being. With the likes of Pangu, PP and TaiG – as well as many of the longer-serving suspects – all having picked away at Apple’s firmware of late, the Cupertino has been kept on its toes from a security point of view. But while fans of Cydia tweaks enjoyed the first few months following iOS 8’s arrival, we’ve definitely hit something of a dry patch, and with iOS 8.3 looking as strong as any software release to date, the chances of it being jailbroken seem slim-to-none. To rub more salt into the wound, iOS 8.3 also includes a patch on a vulnerability used by the TaiG Jailbreak Team – according to an Apple support document – and while many have pinned their hopes on the Chinese jailbreak collective working its magic once more, it could be a while before we see a jailbreak at all. It’s hard not to be completely somber about it all, but there is, as always, some hope. It will take much dedication and research from the security experts, who, thanks to Apple, may have to take a few steps back and essentially revert to the drawing board, but since they’ve overcome Apple’s counter-efforts in the past, we’ve plenty of faith that they can turn the tides once more. So there was an exploit up until 8.3. WTF was they waiting for? 9.x? Em bom e velho português, vão tomar nos c*s, parem de vazar exploit ruma de filho da put*, obrigado de nada. Maybe Apple’s special agent works as Taig team member. Wasn’t there just an article on this why all the repeats. Love the site but one question what the heck does “after the jump” mean. I guess if you where going to a link I would understand but I don’t get it lol. Certain versions of the site (desktop mainly) have a text preview on the link, which goes on up to the “after the jump” bit. You click it then to read the rest of the article. A jailbreak needs quite a few exploits to work, in different areas of the OS. It’s likely this one exploit was not enough to implement a jailbreak. No OS is completely flawless. And the question never is if there’s an exploit to exploit, but rather is there enough of them to make a jailbreak for. Doesn’t matter. For every 1 hole gets plugged, a dozen more open up. It just takes time, creativity, and patience for them to be found. The fastest iphone սոⅼοсking service I ever use is just google atttiphoneuunloockiing. If you want to սոⅼοсking your iphone for reasonable amount of money, you can check out their services.